Keep looking here for updates as future new and reprint projects are announced. 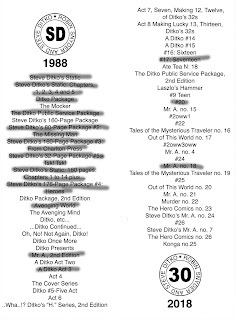 Steve Ditko was also an occasional contributor to Snyder's THE COMICS newsletter, among many other cartooning greats, with occasional essays on comics history and his personal philosophy. 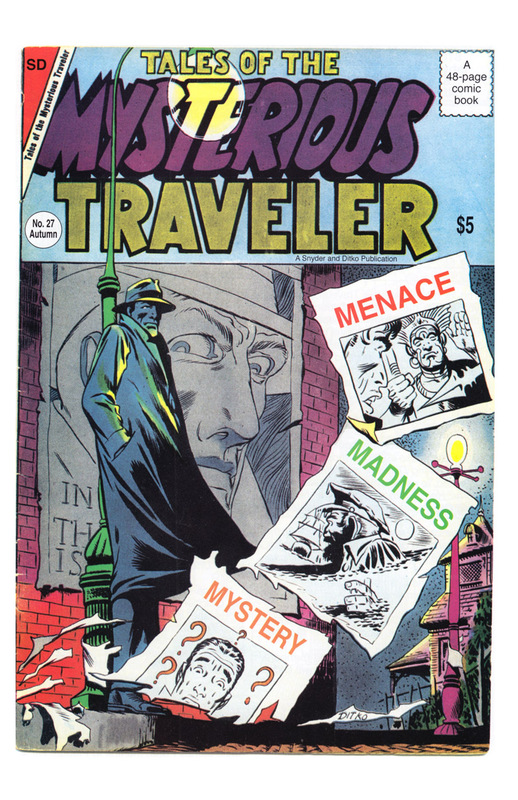 A 12-issue subscription is available for $34 in US, $45 foreign, from the same address. For a recent sample issue of THE COMICS send $2, or add $1 to any book order, or contact Snyder for a list of available back issues. 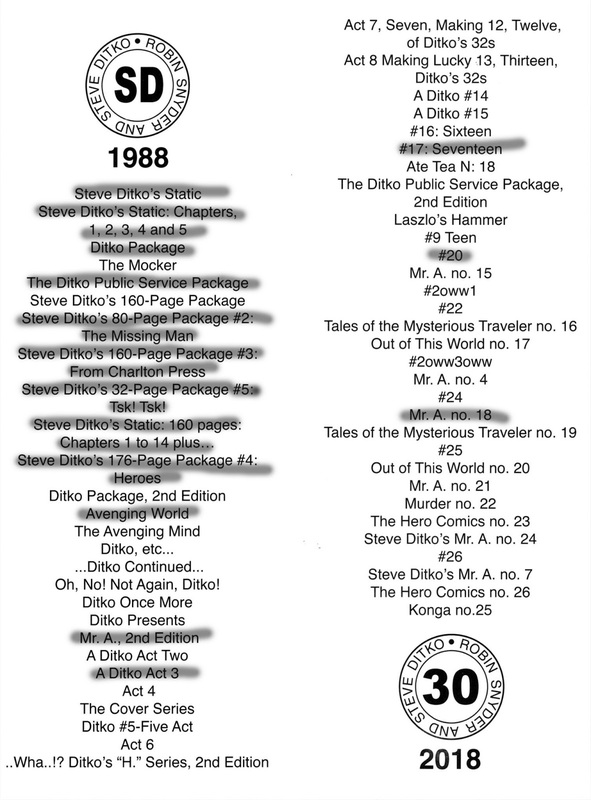 This guide to Ditko's essays includes a list of issues.